The Honeywell 5806W3 is a 3V battery operated, photoelectronic smoke detector with a built-in wireless transmitter. It facilitates fire verification for false alarm reduction requirements by ANSI/SIA CP-01standards and is intended for use with any of Honeywell's 5800-Series wireless receiver/transceivers for residential installations. The 5881ENHC or 5883H receivers are required for commercial installations. The transmitter can send alarm, tamper, maintenance (when control panels are equipped to process maintenance signals) and battery condition messages to the system's receiver. The maintenance signal fully complies with the sensitivity test requirement specified in NFPA 72, 7-2.2 and is UL approved. The 5806W3 incorporates a state-of-the-art optical sensing chamber and advanced microprocessor. It also helps eliminate nuisance alarms and virtually eliminates non-billable service calls and fines resulting from false alarms. The microprocessor allows the detector to automatically maintain proper operation at factory calibrated detection levels, even when sensitivity is altered due to the presence of contaminants settling into the unit's smoke chamber. A removable detector cover and chamber top allows the technician to quickly and easily clean the detector chamber without disassembling the detector head. Since there are no holes to drill or wires to run, installers can preserve the beauty of the protected premise while protecting it. 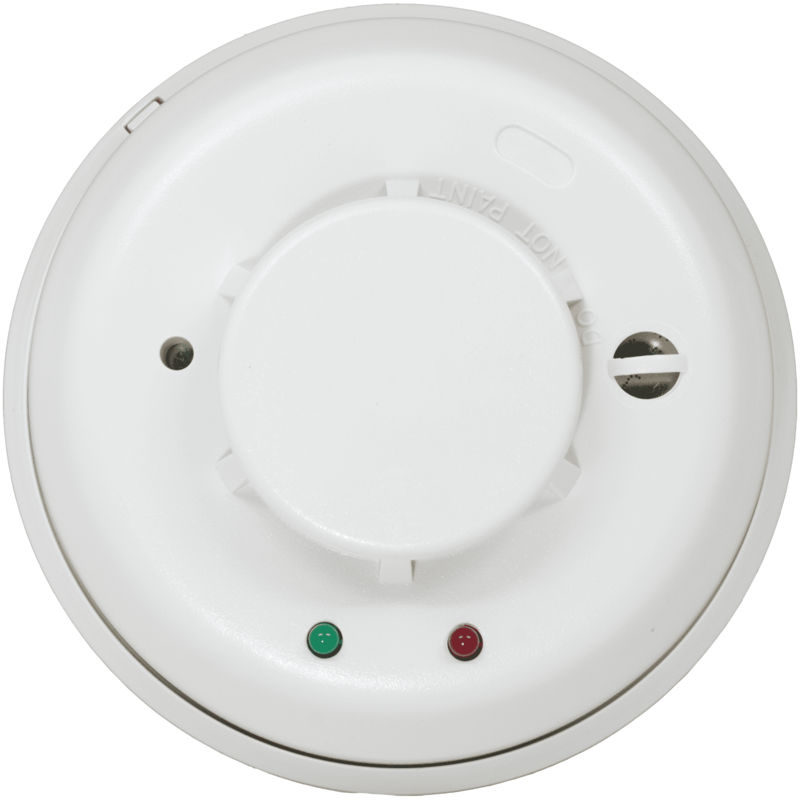 The 5806W3 is an ideal smoke detector for difficult to wire locations, applications where room aesthetics are critical or where hazardous materials exist.